7” x 10”, 276 page paperback, full color photos throughout, $29.95. A thorough revision and updating of a book originally written in 2006. 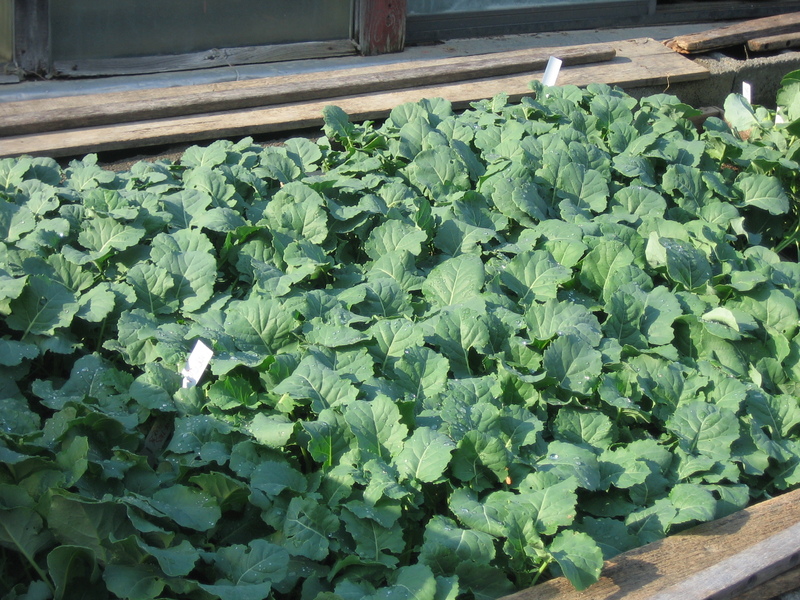 I write about the planning and crop production aspects of market farming. I leave the equally important marketing side to be covered by those who know more. Lynn Byczynski is an extremely knowledgeable mentor. 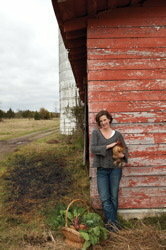 Her overview of the business of market farming is a survival kit for new and aspiring vegetable farmers. It can save you from many pratfalls on the learning curve. Lynn explains each challenge of professional small-scale vegetable production (including some you never even realized you needed to know) in a calm, clear, confidence-boosting voice. She writes from her own experience seasoned with sifted information gleaned from the many growers she knows as editor of Growing for Market magazine. 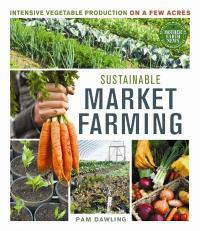 There are eight chapters identifying and explaining aspects of market farming that new growers need to tackle. The book covers getting started, finding markets, choosing crops to grow, tools and equipment, planning, crop production, post-harvest handling and business management. Lynn gives useful information on resources and helps growers work towards success. Should you quit your day job to start market farming? Lynn’s advice is to work towards that without jumping into the deep end. Learn as much as you can about farming while your income still reliably comes from another source. 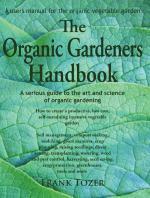 Teach yourself, learn from other farmers, practice with a big garden. If possible, keep some other part-time job going even while you start to earn a living from farming. Balance the inspiration and the perspiration! 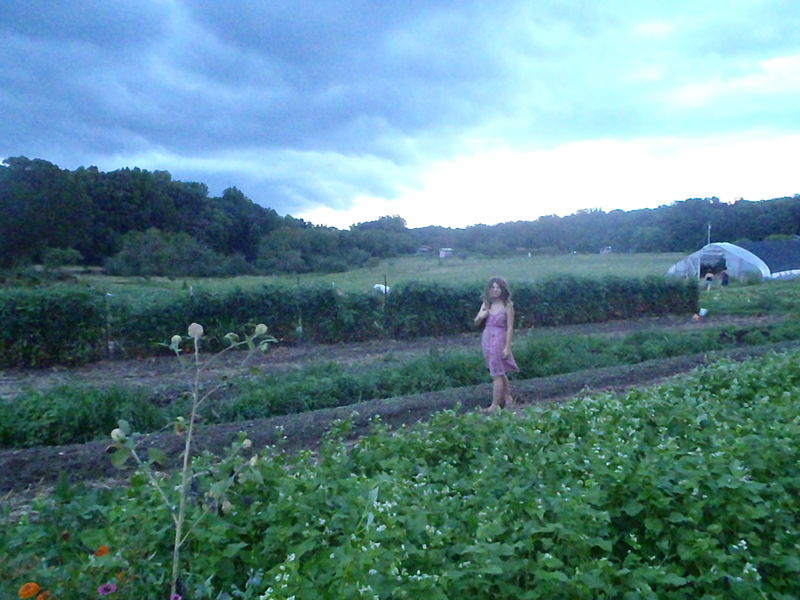 Lynn explains the naming of small farms: less than 3 acres is generally called market gardening (or micro-farming). One person full time can handle one acre of intensive vegetable production, earning $20,000-35,000 per acre with a margin of 50-60%. Equipment consists of basic manual tools. Working between 3 and 12 acres is generally called market farming. Hand labor is not enough, therefore there are more capital costs. Income varies widely – finding enough markets to sell all the crops at retail prices can be a challenge. Vegetable farms cropping more than 12 acres need mechanization. Production is less intensive, and so the income/acre is less – up to $10,000/acre. Earning a good income relies on using more land, with a smaller profit margin – 10-50%. Of the gross income, one third each may go to paid labor, non-labor expenses and net income for the farmers. When buying a farm, look for good soil: check the Web Soil Survey and talk with NRCS. Get help from programs for new farmers and Start2Farm.gov, a single site which collects all the free resources. Johnny’s has a free manual on building moveable caterpillar tunnels. Study drainage, texture and slope. Fertility can be improved, but rockiness will damage machinery and joint cartilage. Know how you will irrigate – never assume enough water will drop from the sky. Drip irrigation can work with low water pressure, save water and money, reduce foliar diseases, as well as weed growth between the rows. It can be intimidating for beginners. Lynn gives step-by-step instructions to set up a basic drip system (I wish I’d had this when I was first venturing into the mysteries of drip irrigation!) Once you have the basics, you’ll learn whatever you need to upgrade. “Once you see how easy it is, you’ll be thrilled.” Such plain-spoken encouragement lightens up the book, as do the instances of novel solutions like wearing a Mardi-Gras necklace to remind you the irrigation is running. You’ll need a diversity of crops, not just a couple of profitable items. 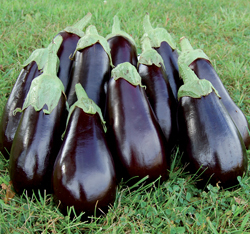 You’ll need critical mass for the whole of your chosen season, not just early crops. 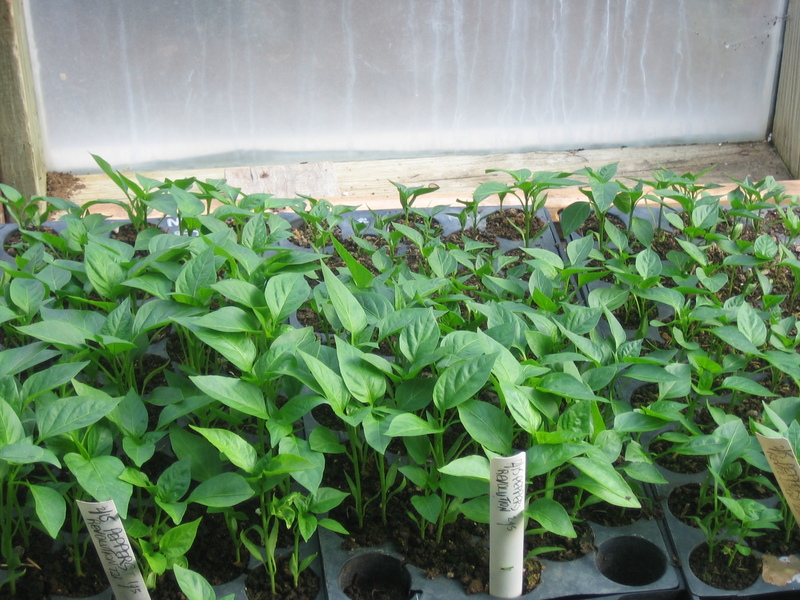 Of course, grow what yields well for least labor at your farm, grow what sells best at the highest price, but also grow what fills gaps between your major crops. Keep records! “The only way to benefit from your experience is to keep records of everything you do. You may think that you will remember when you planted which variety, and when you started to harvest it. And there may be a few geniuses out there who really can remember the details on their crops. 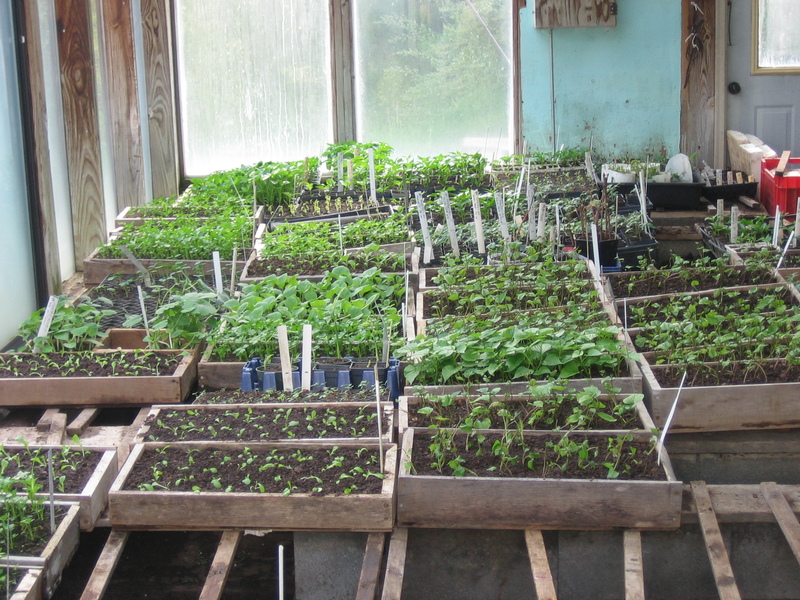 But when you are growing five, six, seven varieties of 20 different crops, you are not going to remember it all.” Lynn backs up these words of wisdom with example record sheets. When deciding which equipment to buy first, start with machinery for tasks you can’t easily hire out. For example, secondary tillage, because this needs to be done in a timely way. It is easier to hire out primary tillage, such as plowing or disking, which needs big tractors. Tips like this can save you from tying up your limited capital in poor-choice gear, and can even save you from going under. Be sure to make a cash-flow projection so you don’t spend more than you have, or will have when you go shopping. 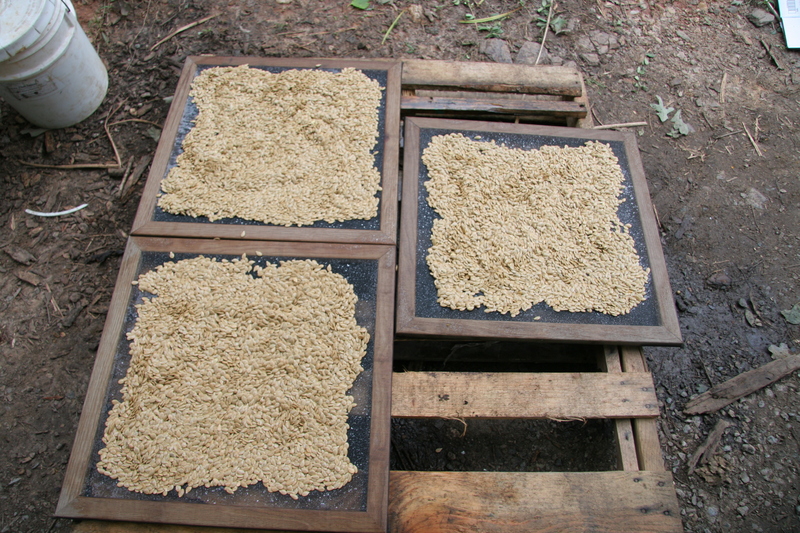 There are four types of seeder: the cheap plate seeders such as the EarthWay, which does a great job for the price, and leaves your crew to do the thinning; drills such as the Planet Junior; pinpoint seeders used for precision seeding of small seeds, closely sown; and precision planters which space seeds accurately, for a price. Start cheap, don’t rush to spend money. If you are growing many different crops, you might not benefit from hard-to-adjust precision seeders, so don’t spend money unless it will pay you back. 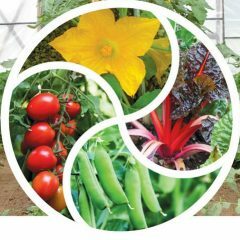 “Having great produce is essential to your success as a market gardener, but growing is only half the job. As a market farmer, you still have the selling ahead of you, but even that is not the end of the work. You still have five additional skills to master: food safety; post-harvest handling; value-added processing; pricing and presentation.” Lynn provides this clear list and then suggests you can and will master these skills and that you can measure your progress. Never sell cheap – you won’t earn a living and you might alienate people who could be your mentors. 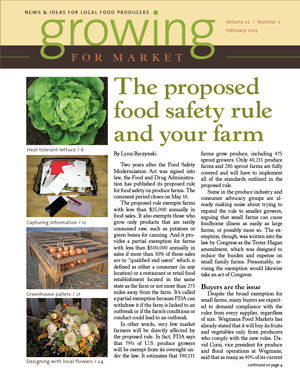 On-Farm Food Safety Assessment helps you figure out how to handle produce safely on your farm. “Many market gardeners get into the business by gradually transitioning from home gardening to commercial gardening. If you are somewhere on that continuum, stop right now and decide that from this day forward you will act like you are in business.” Deal with taxes, legal structures, hiring, insurance. Get professional advice. Here’s the reward: “When your business is also an activity that you enjoy, your pleasures become tax-deductible . . . Maybe you would like to grow 50 varieties of lilies in your garden just because you love the look and fragrance of lilies. When you are in the cut-flower business, you can grow all the lilies you want and deduct the cost.” Her exuberance lightens this somber subject. Lynn is committed to helping new farmers meet success. She plans to put the whole “Where to Learn More” chapter on the Growing for Market website so that we get one handy access point with live links to all the sites mentioned. 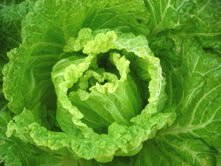 Go to www.growingformarket.com click the button for Market Farming Success. 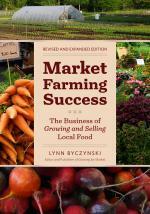 I started out recommending this book for all new market farmers. As I read it, I see that this book is so dense with helpful tips that any market grower could quickly save the cover price many times over, just learning and applying one new trick.